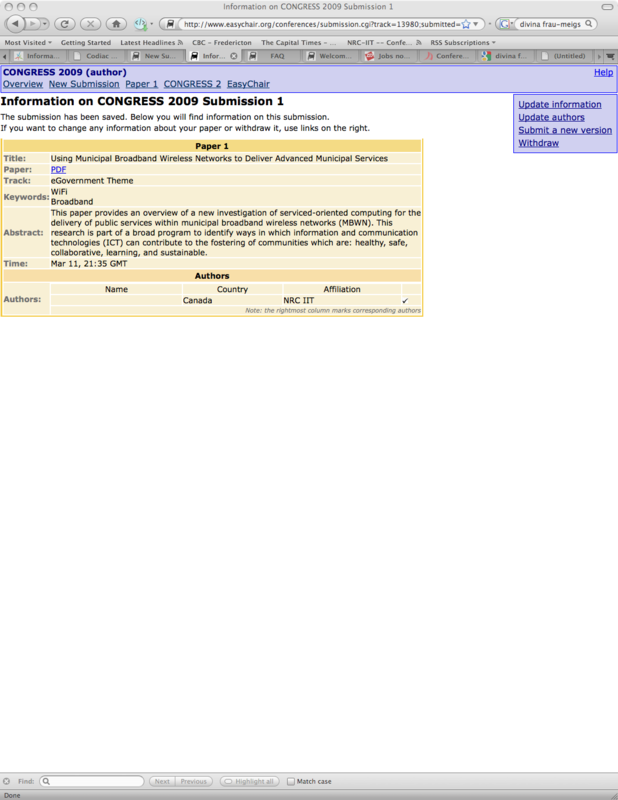 The Congress 2009 submission site is now open. 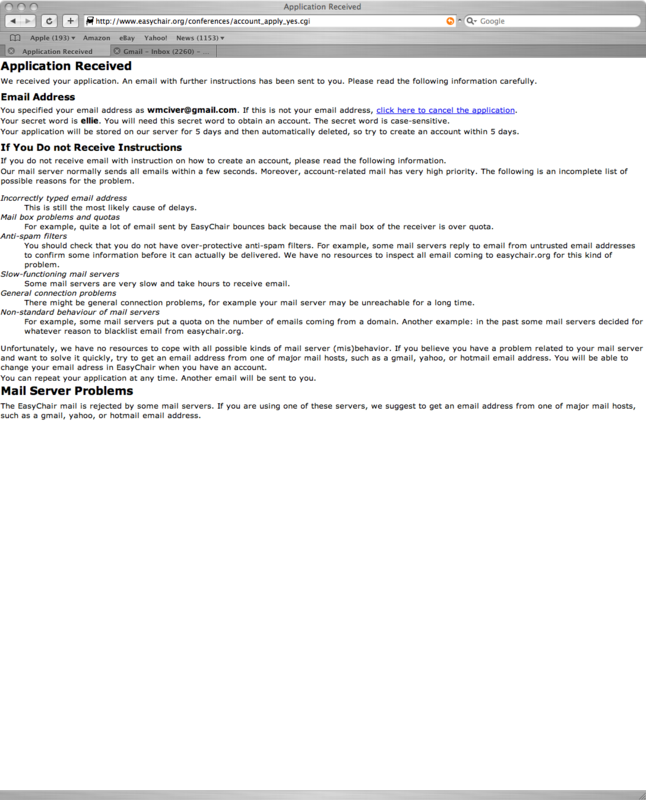 PLEASE NOTE:EasyChair will be moved to a new server on April 18. It will be unavailable for several hours on April 18 and April 19, please inform your theme chair if you are experiencing any difficulties. 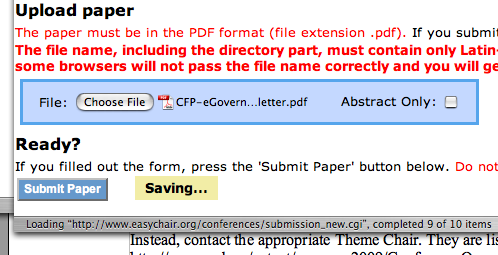 We are using the EasyChair conference management system to handle submissions. •	(6) Now visit the Congress 2009 submission page again athttp://www.easychair.org/conferences/?conf=congress2009. 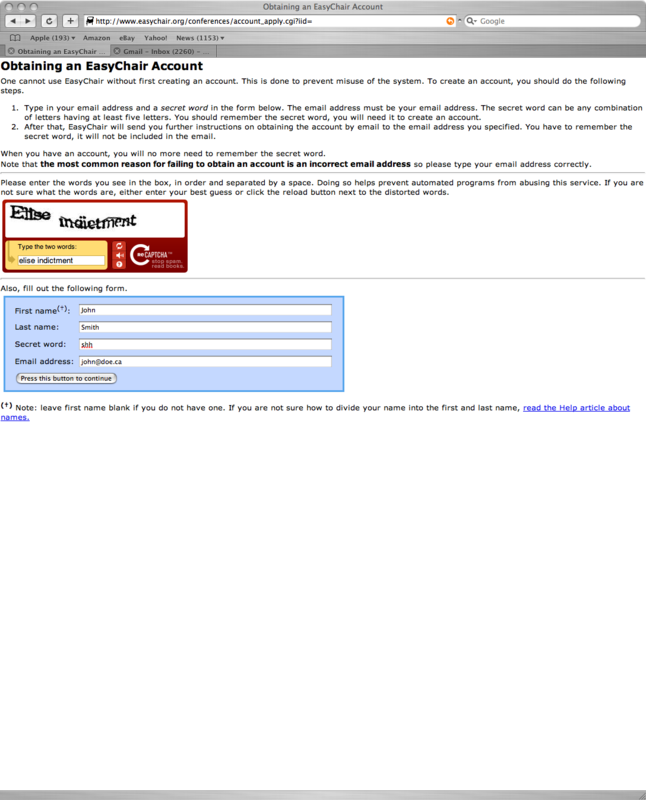 Now use the login instructions below. 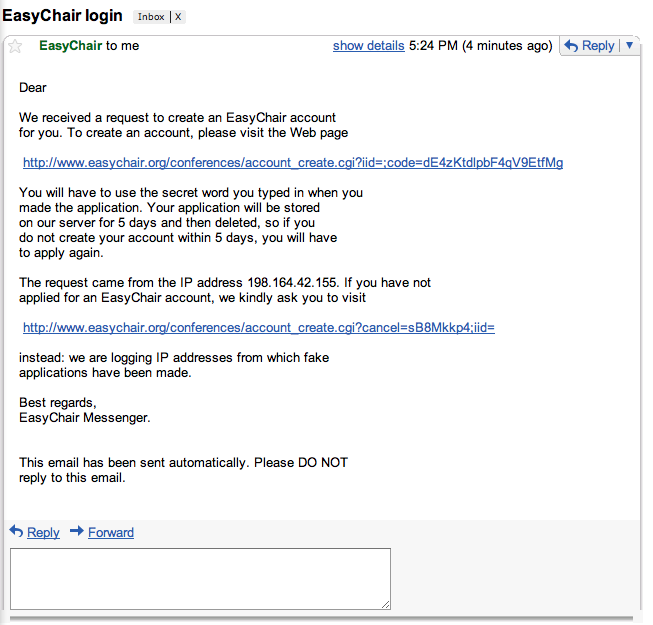 c) If you have an EasyChair account, but have forgotten your password, follow the instructions on the “EasyChair Login Page” to retrieve it. 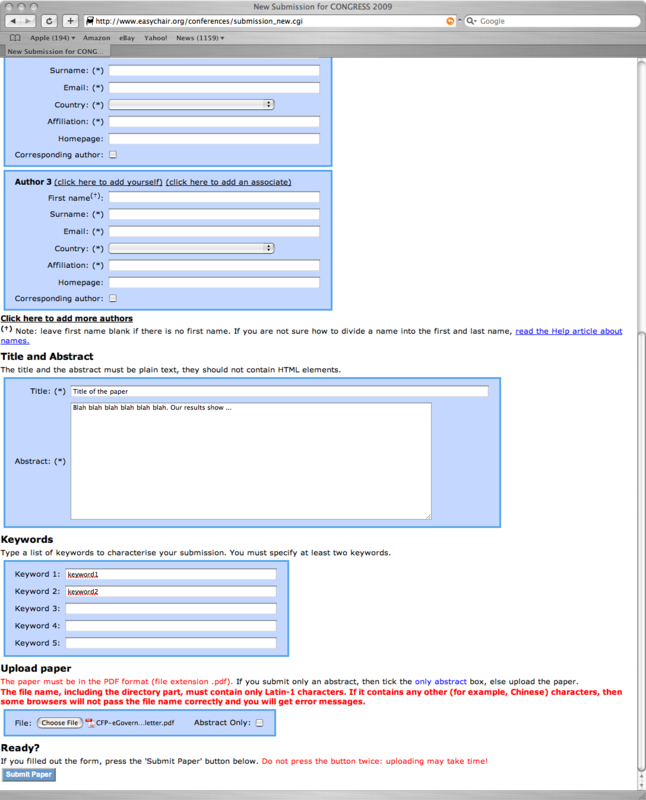 You may upload new versions or withdraw papers at will. PLEASE NOTE: EasyChair is a site that is managed by EasyChair.org, not Congress 2009. 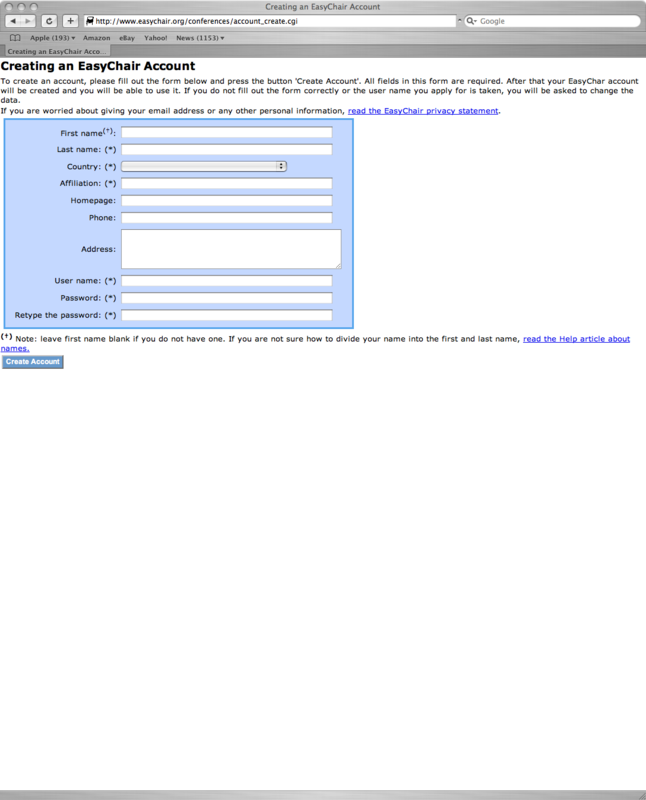 If you have any questions about Congress 2009, DO NOT contact EasyChair. Instead, contact the appropriate Theme Chair. They are listed at the following site: http://www.unb.ca/pstnet/congress2009/ConferenceOrganizers.htm .